School of Mechanical Engineering and Automation, Dalian Polytechnic University, Dalian, 116034, China. Continuous high pressure water jets currently have many industrial applications, for example, mining coal, cutting materials, and cleaning fouling layers. 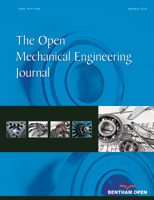 To gain a thorough understanding of the helix nozzle structure, which is optimized by adding an internal spiral line from a cylindrical contracting nozzle, and thereby study jetting characteristics and cleaning effectiveness, a numerical simulation method is presented to capture the features of velocity magnitude and directions and the dynamic pressure in and out of the nozzle. This approach follows the fact that it is more efficient to perform shearing action on the fouling layer in the cleaning process beyond an axial impacting action functioned by a traditional cylindrical contracting nozzle. The results reported in this paper show that the velocity magnitude of the jet issuing from the helix nozzle produces a relatively concentrated distribution, considering the guidance and disturbance by the spiral line, and the dynamic pressure shows similar characteristics. The shearing action of the tangential jetting and the entrainment effect of the shear eddy strengthen cleaning effectiveness.